Moans because I have my first official major scrapbooking injury. I was cutting the legs off a brad. Something I do all the time. This one was a toughie and I was struggling and as I got through the metal I ended up cutting through the side of my left hand. Ouch. 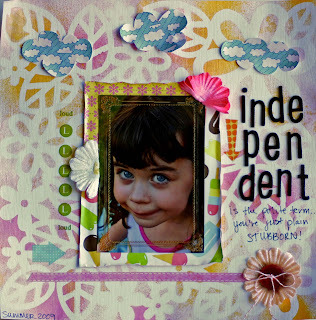 On a less painful note, the ScrapTiffany challenge this week is to step out of your box--do something on a layout that you are uncomfortable doing. Here is my layout. It is a very different look for me. The masking and misting and the collage look is not something I do very often and hence I am not too comfortable with it. Also I journaled right ON the layout! Usually if I handwrite my journaling I do it on a journaling card so if I screw it up I can throw it out and try again. And I included some products that I am not very comfortable with including transparencies and rub ons. I am not sure what my discomfort is with transparencies, but rub ons I know I am inept with. I love the idea of them, but somehow when I use them they dont come out right. 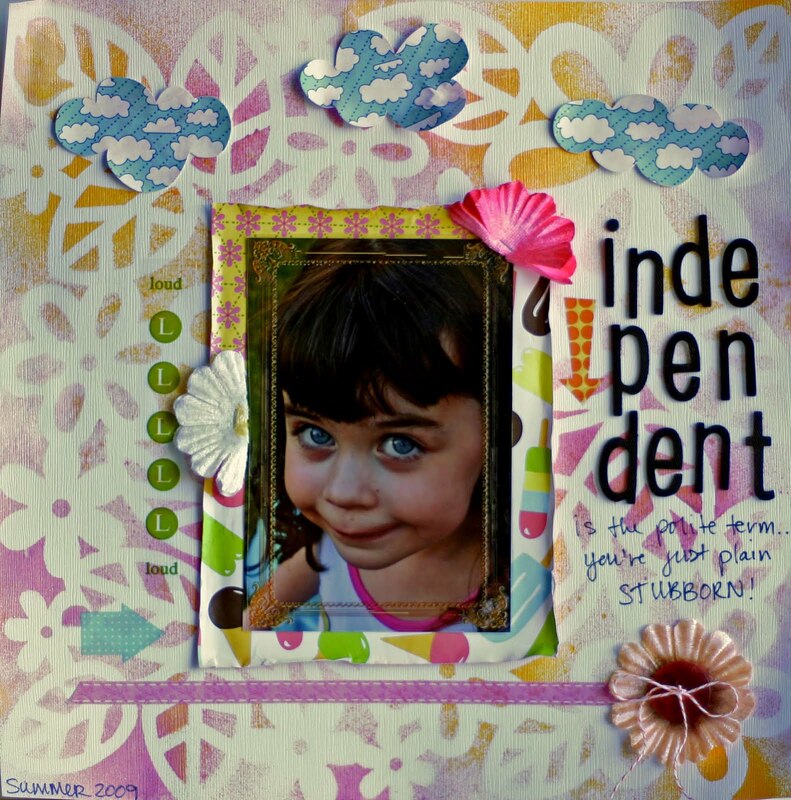 In any case, go on over to ScrapTiffany and check out the other designers takes on this challenge. 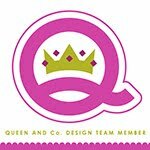 And if you take the challenge yourself, be sure to email it to Tiffany for a chance to be the ScrapTiffany guest designer for the month of December. And don't forget that Tiffany's Design Team call is still open until November 25th. Check out the call HERE. Alright, that is enough pain and discomfort for one post. But before I go, I wanted to let you know that I am hosting the Color Me Daisy blog this week. So please stop by and say HI! Rebecca, I love the look of your misting! I think your page looks adorable. Hope your injury gets better soon! Aww, girl, this turned out wonderfully! I love the masked background that you created! It's perfect. And I'm like you... I too am uncomfortable with journaling directly onto the page... so hard for me! Hope your hand is doing better! Ouchie!